There are about 37 different online shopping platforms available. Of them Magento and Open cart are the leading options as they have won the trust and confidence of thousands of webmasters to be their best choice of selection. This blog introduces and compares these two open source eCommerce platforms along with their benefits and drawbacks. Magento is a CMS based on PHP and My SQL, built using parts of Zend Framework and solely owned by eBay Inc. It is a feature rich platform with highly intuitive administrative interface which gives the leverage to control over the appearance and functionality of the shopping sites of the online merchants. Open cart is a unique open source eCommerce solution available at free of cost. It has been developed with an attitude to help the entrepreneurs with limited technical skills to develop their own shopping stores with ready made templates. 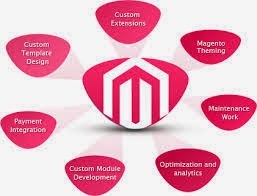 Both Magento Module Development and Open cart are open source software solutions and are free to download. Since both of them have large forum communities. Both tend to offer unlimited groups of related products and categories. Both of them have multilingual, multi currencies and multi stores support. Let us now look in to the comparative analysis of the two online solutions on the following factors. Open cart is a single shopping software solution that requires no license fee for the user to download and make changes to it to suit the needs of their market niche. On the other hand 3 different editions of Magento Ecommerce Development . solutions are available in Magento, to suit the different business needs of the entrepreneurs at different affordable costs. Open cart has an extensive directory of free and paid modules and templates there is always a ready made solution available for the user over the internet to meet his demands. Although Magento too comprises of larger customization options in it, its themes and modules are comparatively less than Open cart.